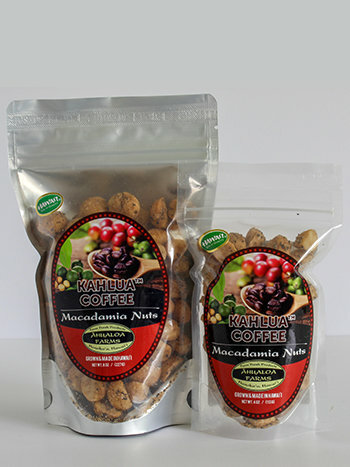 Hawaii macadamia nuts made with Kahlua liqueur and our own 100% Hamakua dark roast coffee. These macadamia nuts have a great coffee taste. Flavored macadamia nuts. Choose from 4oz and 8oz bags.